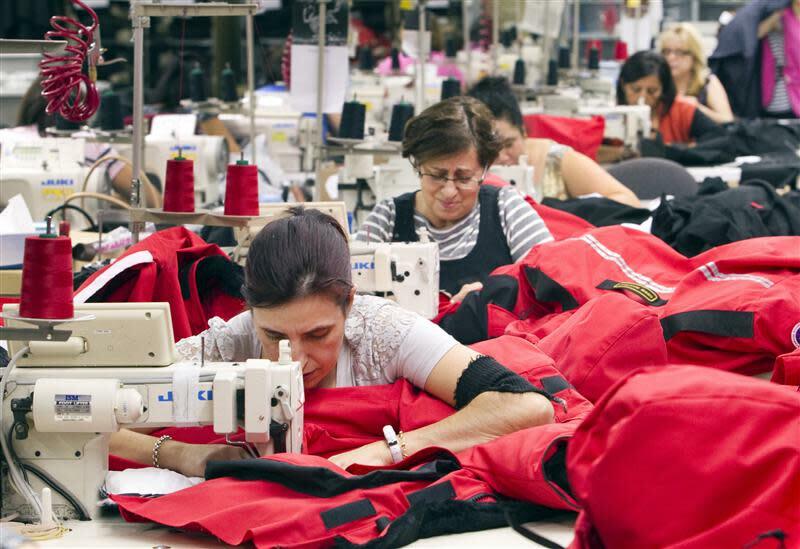 TORONTO (Reuters) - An index measuring the pace of growth in Canada's manufacturing sector pulled back to a four-month low in December as the rate of new orders and employment cooled, data showed on Thursday. The RBC Canadian Manufacturing Purchasing Managers' Index (PMI), a measure of manufacturing business conditions, fell to a seasonally adjusted 53.5 last month from 55.3 in November. A reading above 50 shows growth in the sector. Manufacturing activity has been expanding for nine months in a row. It hit a 2-1/2-year peak in October. The forward-looking new orders component slipped to 55 from 58, while the employment measure dipped to 51.6 from 52.8. Investors will get a broader look at the labor market with the monthly unemployment report due next week. "Our outlook for 2014 is underpinned by the assumption that Canadian exports will firm as the U.S. continues on a path of recovery - this will provide a healthier environment for manufacturing to further grow in the new year," Ferley said in a statement. Input costs rose to the highest level in nine months, with the index climbing to 56 from 53.6. Companies reported higher fuel and raw materials prices, as well as unfavorable exchange rates that pushed up the costs of imports.